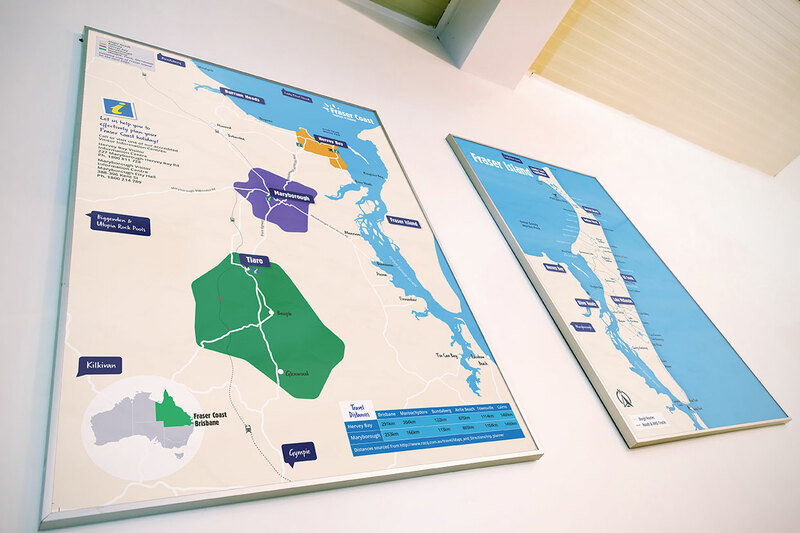 Jen Mulligan Design worked with Fraser Coast Tourism & Events to design custom maps of the Fraser Coast region and Fraser Island to be included in the 2017 Holiday Planner. The Holiday Planner is a glossy colour magazine showcasing the Fraser Coast region with the inclusion of maps to help visitors locate landmarks, towns and other attractions. The brochure will be distributed throughout Queensland to Visitor Information Centres. Jen utilised mapping software such as MapInfo Professional and ArcGIS to develop the map and Adobe Illustrator to add design flair, city and town names and facility icons.